Regarded as The Pearl Of The Orient, festooned with enticing beaches and well preserved ancient culture, the state of Goa is a well planned heaven tucked in the coast line of the Arabian Sea. The lively state always buzzing with dwellers and tourists is a perfect location for couples seeking to host a destination wedding! Boasting of its varied landscapes and culinary excursions, there are multiple venues to host a beach wedding in Goa. Reflecting in itself a perfect blend of nature, culture and Goan Lifestyle is the Alila Diwa resort along the Gonsua Beach, Majorda. 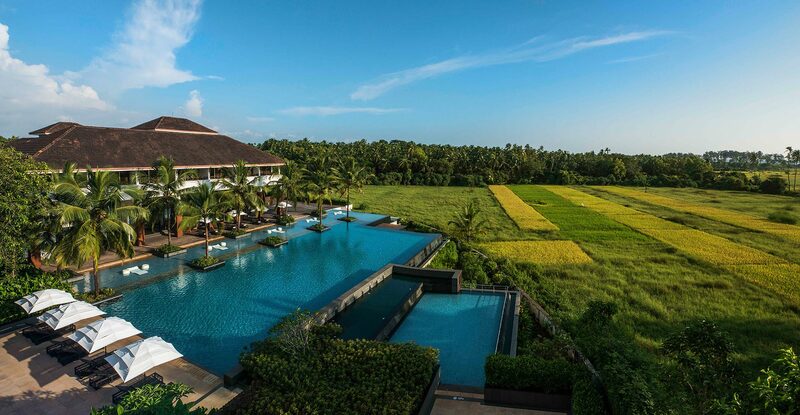 Located amidst the lush paddy fields, the Alila Diwa is a resort setting ornated with contemporary Goan architecture-high pitched roofs, wide verandahs & tranquil courtyards! mesmerizing event locations to accommodate all the conjugal merrily. The venue offers 153 plush rooms and suites equipped with all modern facilities and novelties with 13,000 – 16,000 INR per night. When it comes to the culinary, the in-house team of food experts present a show of mouthwatering and delectable food art in your plate to leave you with an instant burst of flavors. Apart from the paramount requisites, there are other extravaganzas which might add up to your final wedding budget. We suggest the couples to look out for the best event management companies in Goa to take with themselves splendid memories of their big day. 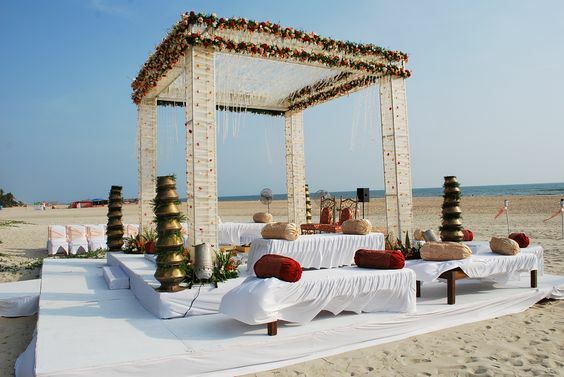 Mandap: Go for flower studded mandap set up on the grainy sands of the beach with a paradisal backdrop of the blue. Tables & Chairs: In order to ensure comfort to all, it’s important to have a correct count of the guests. Aisle: An aisle set up in the landscaped gardens of the resort and decorated with the finest of props is a dream of every bride. Centerpieces: Set up eye catching centerpieces in order to elevate the aura of your event. Dance Floor: We don’t need to tell you how goa is synonymous with parties! LEDs & Lighting: Make your night look even more tantalizing with the correct intensity and positioning of fancy lights. 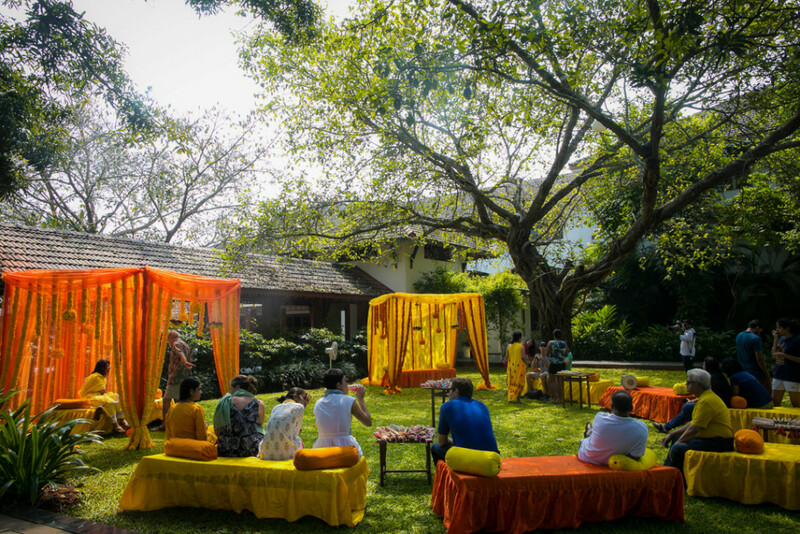 Stage: Refer to your event organizers in Goa for a striking and sumptuous stage setting. 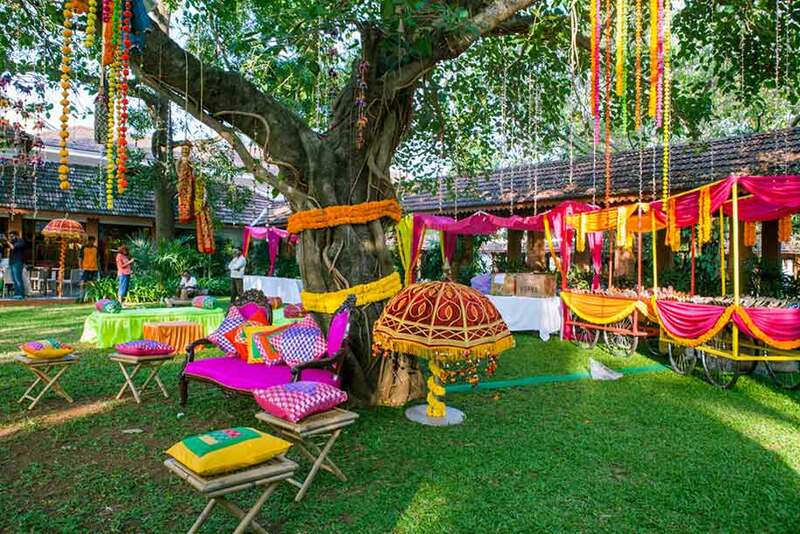 Floral Decoration: from tropical orchids to blossoming lilies, decorate your venue to enhance its Shaadi-Feels! Photography : Browse from the list of various destination wedding photographers in Goa to frame your moments of happiness. Make sure they’ve got a niche in the field. Transport & Logistics: For all the taam-jhaams and last minute bavaals, its important to fix a logistics crew to handle the wedding traffic swiftly. Sound & DJ Setup: Make sure your appointed music provides is acquainted with your taste in music and has the skills to lift up the ambiance with the melodies. Mehndi & Makeup Artists: Although Goa has an abundance of such services, we advice you to pre-book your mehndi and makeup artists to attain the best quality services. Folk Artists: Add a dash of culture to the event by organizing local groups displaying the Portuguese culture, goa is best known for.